Malls, streets and markets are loaded with plenty of gifting options that allow you to select the perfect presents for your special ones. But doesn’t that make the selection process all the more difficult? Although market shelves and online shopping sites are full of options ranging from dry fruits, chocolates and sweets to collectibles and showpieces, every person tends to face a challenge common to all- to make his gift stand out amongst others! Due to busy lifestyles, festivals, these days, are the only occasions people get to catch-up with their loved ones and hence are looked forward to by everyone!Occasions like these are therefore cherished and treasured by everyone and thus have the emotions of love, joy and happiness attached to them, making it almost customary for people to go out of their way to select the perfect token of love for their beloved one. 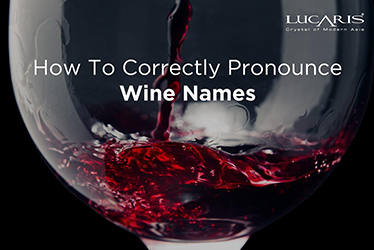 This changing definition of festivals and the way of celebrating them, has brought about a considerable shift in selection of the right gift – a present that symbolizes the essence of coming together and carousing! 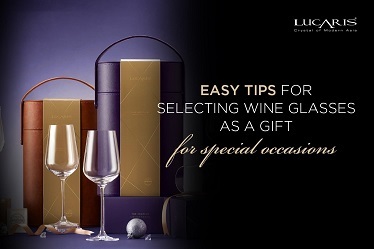 Here is why the Crystal Memories Collection by Lucaris is the perfect gift for your dear ones this festive season. There is no gift as precious as the one that brings you close to your loved ones, signifies good times and is a promise of future celebrations . Here are three sets from LUCARIS ‘Crystal Memories’ that include The Exclusive set, The Affection set and The Delight Set that will be the perfect gift this festive season. 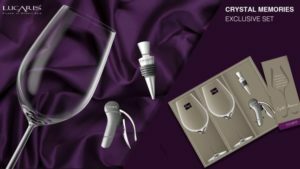 The Exclusive set comes with two Shanghai Soul Bordeaux Grande Glasses, a wine opener and stopper – a perfect set that enhances your dining and wining experience and the ultimate route to a perfect evening of celebrations! 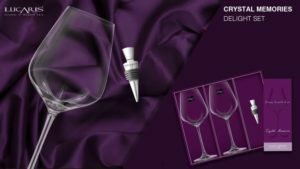 The Affection set comes with the cutting edge tumbler design of Hong Kong Hip collection and The Delight Set come with two of Desire Universal glasses, the world – class award winnings design collection, with a wine stopper. 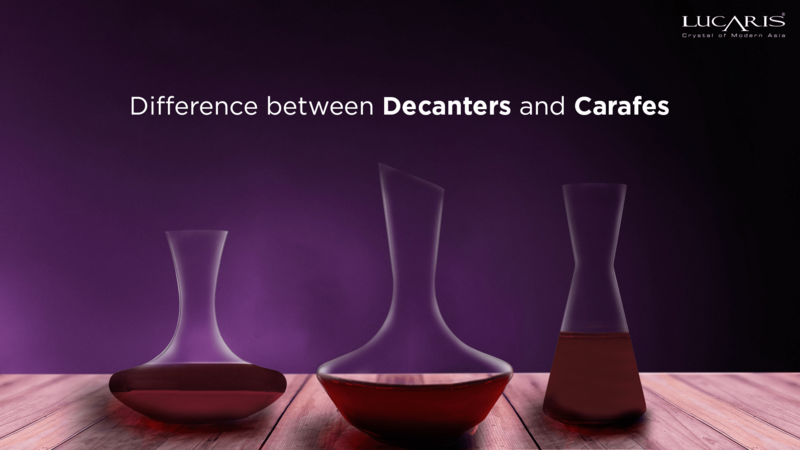 So come together this festive season and raise a toast to your bonding session, in a Lucaris crystal wine glass! A gift meant for your dear ones has to be of the best quality. Our Crystal Memories collection has been carefully designed and crafted to the smallest details, to ensure the highest quality in functionality and looks. 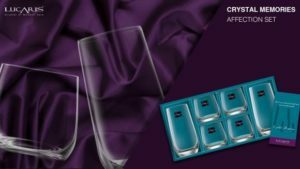 A collection of stemware designed with passion and precision, a Lucaris crystal product from the Crystal Memories’ Affection Set is unlikely to not prove to be an impressive gift. 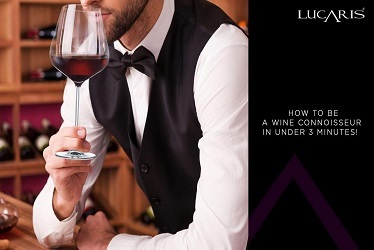 The design of Lucaris stemware and whiskey glasses are sure to evoke the senses of class, beauty and elegance. In its Crystal Memories Collection Delight Set, Lucaris is offering two world – class award winning wine glasses of Desire Universal Glasses equipped with the Aerlumer® technology with elegant five curl lines at the bowl that encourage micro-oxidation and softens the wine while swirling as it allows diversified interaction between wine and air. 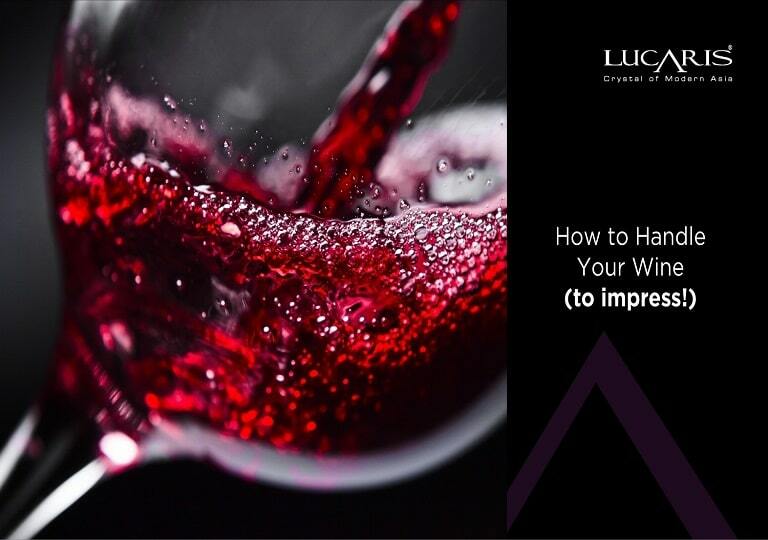 A result of a collaboration of some of the finest glass and wine techniques around the world, a Lucaris Crystal product reflects glamour and grandeur through its appearance – a quality that makes it the perfect gifting choice for your circle. 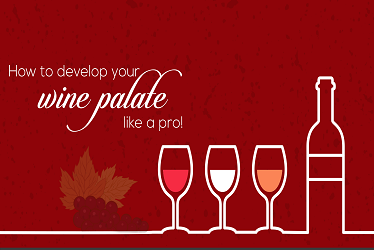 So let’s start and pick a memorable gift for your loved ones, this festive season! But whatever it is that you choose, make sure to load it up with lots of love and good wishes! 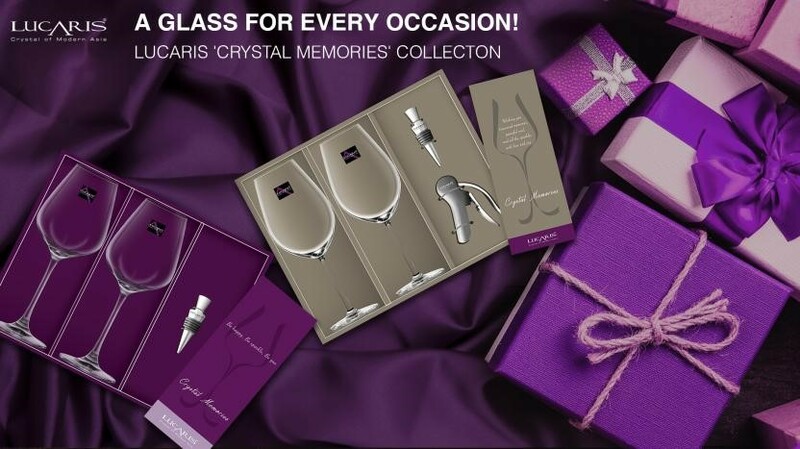 Lucaris Crystal ‘Crystal Memories’ collection is now available in HomeStop & Home Centre stores.